Although often referred to as “Hipster Heaven”, the district of Shoreditch - found in Hackney - is home to an incredibly affluent demographic. Many of the beautiful homes found here accommodate the very wealthy. Those who love more than a splash of luxury, and can afford the privilege. Of course, there are more affordable properties in the area too - but that is not the focus of this piece. Here, we’re going to take a close look at the luxury accommodation market in Shoreditch - and how it has changed in recent years. Shoreditch - What’s the Area Like? As mentioned, Shoreditch has a bit of a reputation for being “Hipster Heaven” - all that really means is it features cool, independent shops and is welcoming of all sorts of artists. The truth is that it is quite a diverse place - like many parts of London. You’ll find many different types of restaurants, with world renowned international cuisine in the form of restaurants and street food. And there are plenty of bars, pubs and clubs if you’re into that scene. Whilst the shopping options are plenty also. Commuters will be pleased to learn the transport links are excellent. A number of stations connected to the overground network can be found in the area, including Hoxton, Haggerston and Shoreditch High Street. In addition to all that - Shoreditch has a fascinating history. Britain’s first playhouse was built here in 1576, and hosted some of Shakespeare’s earlier work. Almost 30 years later, Shoreditch was where the Gunpowder Plot led by Guy Fawkes was exposed. And Alfred Hitchcock made his first films here too - although Gainsborough Studios has since been turned into flats. A quick browse online will reveal to you a number of luxury properties in Shoreditch. Most of the time these will be apartments - possibly even the penthouse of a particularly prestigious building. Occasionally, you might be able to find a maisonette. But that is where the variety typically ends. If you want luxury living, an apartment is the way to go - there is little here in terms of detached, semi-detached and terraced housing. What Shoreditch lacks in options, it more than makes up for in quality. The properties available here are sensational, located in nice areas, and often come with fantastic views. How Much Do Luxury Apartments in Shoreditch Cost? There are apartments available in a variety of different price ranges. But if you want luxury, you’re looking at a six or seven-figure home. 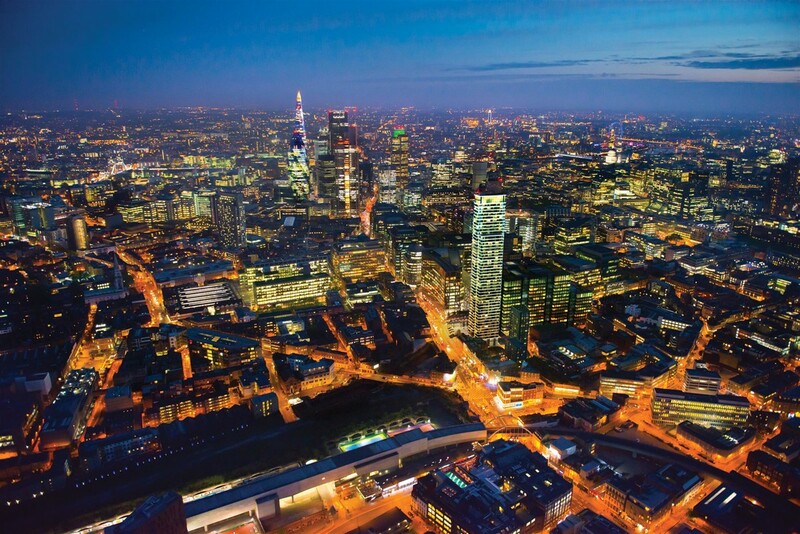 The most amazing properties can be found in places such as Principal Tower, High-Timber Street and New Globe Walk. In these types of buildings, a penthouse apartment could set buyers back by as much as £7.5 million. That’s typically for a three bedroom property. Of course, you don’t have to spend this amount of money to enjoy a luxury apartment. You can get something for closer to the £1 million mark. Whilst Shoreditch is home to a number of the rich and famous - Russell Brand is known to have lived here - it wasn’t always that way. Property prices have almost doubled in the last ten years alone (according to Land Registry data). It’s no secret that housing prices in London are quite high, and have increased at a rapid rate over the last decade or so - but in Shoreditch that is especially true. In just the last five years, the average cost of a flat/apartment (all of them, not just those deemed “luxurious”) has gone up by 47 percent. It’s even higher for detached homes - of which there are few. Those that are here have increased in value by approximately 52%. Semi-detached properties have also gone up by 50%, and terraced homes by 43%. Hunters has a branch based in Shoreditch, at 110 Curtain Road. Our helpful staff can help you get your luxury apartment on the market - whether you’re a seller or a landlord. Feel free to give us a call to discuss your options - 020 7613 1798.